We’re sorry, but there isn’t a SKYiGOLF course in your state. 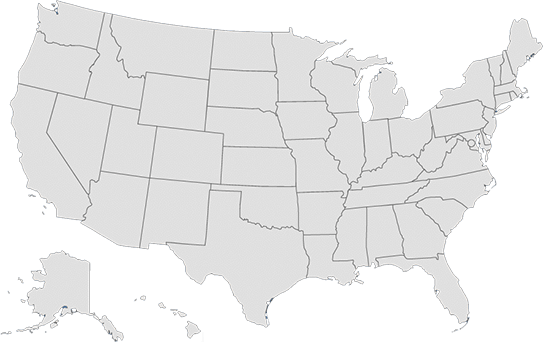 We are growing rapidly though, and expect to have a course in your state shortly. Please share your contact information so that we can let you know when there’s a SKYiGOLF course in your area. 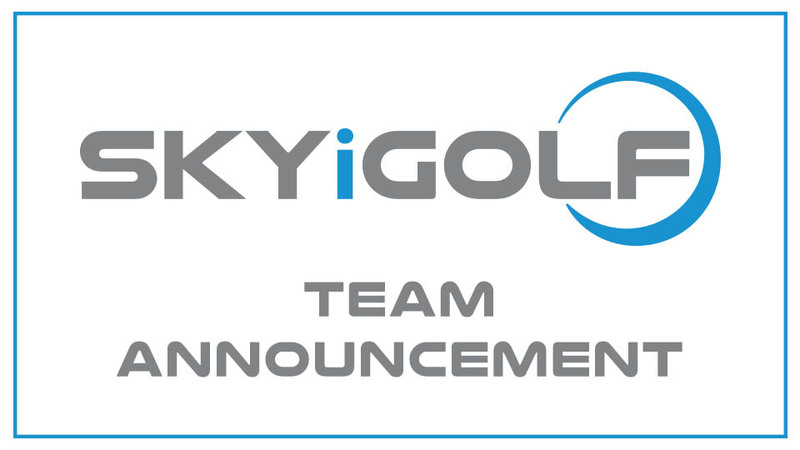 We can’t wait to show you the SKYiGOLF difference! NORTH PORT, Fla. (Nov. 8, 2018) – SKYiGOLF is excited to announce the addition of Kevin Carter to its team as Chief Business Officer. Carter, whose 25 years of industry experience includes long and successful runs with the National Football League and PGA of America, will be focused on generating and cultivating partnerships and sponsorship strategies to benefit SKYiGOLF’s PGA Professionals and member facilities. SKYiGOLF, launched Oct. 30 at the World Golf Hall of Fame in St. Augustine, Fla., is a company that strives to make golf more fun for everyday players while providing tools and technology to PGA Professionals and golf course owners to help them to run their businesses more efficiently. Carter’s background includes extensive experience in sales, media, merchandise, ticketing and hospitality, licensing, brand development and marketing. Carter was National Football League’s Managing Director, Sales and Marketing, from 1992-2006, as well as Chief Business Officer for the PGA of America (2006-14). For the last four years he has undertaken a consulting role as President/CEO/Owner of Kingdom Athletic, whose clients included Golf Channel, Avadim Pharmaceuticals, Synergy and Oxygen Water. With the NFL, Carter helped to negotiate an eight-year extension worth $450 million with Pepsi, an increase of 81 percent over the previous contract, and created a $20 million sponsorship relationship with Burger King. At the PGA, Carter ran point in negotiating the largest television deals in the organization’s history, which included contracts with NBC/Golf Channel, CBS and Turner that totaled $778 million. Carter led a team that generated more than $140 million in sponsorship/broadcast revenue on an annual basis. Carter also helped the European Tour build out a global partnership program for the Ryder Cup. Carter is a graduate of Loyola University Maryland, where he was captain on the basketball team for two seasons and was team MVP before a brief professional career. His first day with SKYiGOLF is Monday. SKYiGOLF (SKYiGOLF.com) is dedicated to making golf more fun, offering $10,000 for holes-in-one on designated holes at SKYiGOLF facilities and operating a SKYiGOLF Global Golf Scramble, while at the same time helping PGA Professionals and course operators to increase their efficiency and revenues. For more information, visit SKYiGOLF.com or contact Jeff Babineau, (407) 496-4956 ([email protected]). Making Golf More Fun, And More Rewarding, Too! Click Here to Enter our Incredible Sweepstakes! SKYiGOLF believes that golf’s most rewarding shot – a hole-in-one – is worthy of a great reward. How does $10,000 sound? (ITAL) As in Ten. Thousand. Dollars! (UNITAL) And wait, that’s not all! Instead of that stale and predictable out-of-focus phone-camera shot taken as you extract your ball from the cup, SKYiGOLF, having recorded the entire scene from tee to green with state-of-the-art, mounted 4K cameras, will hand you the entire video of your magic moment – the swing, the impact, that magical moment of the golf ball vanishing in the hole – all narrated by a notable player from a professional tour! Each SKYiGOLF facility will feature a designated Hole-In-One opportunity for SKYiGOLF members that is insured by Lloyd’s of London, the hole measuring a minimum of 150 yards for men and 120 yards for women. What a moment to spice up any golf round! Make an ace and you’ll have your check for ‘10 Large’ in your hands within 48 hours. And better than just talking about your shot with pals at the 19th hole, you’ll have a video that lives on forever! A memorable way to celebrate a monumental accomplishment! SKYiGOLF is all about providing its members great golf experiences. So picture yourself, if you will, walking down the fairway of a world-class golf course in the beautiful Bahamas in November 2019, competing alongside your best buddies and a PGA club professional for pride and great prizes in the SKYiGOLF Global Scramble Championship! Fifty teams will advance through Local and Regional qualifiers at SKYiGOLF facilities to earn a chance to compete on three world-class courses in the Bahamas – The Ocean Club, a Tom Weiskopf-design with seven holes along the water; Royal Blue, Jack Nicklaus’ beautiful new creation at the Baha Mar; and Albany, an Ernie Els design, site of the annual Tiger Woods-hosted Hero World Challenge that delivers the world’s best players to the island. SKYiGOLF members who earn their way to the Bahamas for the SKYiGOLF Global Scramble Championship will be set up in top-level accommodations at the famed Atlantis Bahamas, one of the world’s ultimate vacation getaways. Finalists will be responsible for airfare and discounted hotel, but SKYiGOLF is springing for the world-class golf, incredible dinner parties and entertainment options that will provide memories to last a lifetime. This is an opportunity for SKYiGOLF members of all talent levels, too, with gross and net divisions, the five best teams in each division competing for the SKYiGOLF Global Scramble Championship at Atlantis on Sunday, Nov. 9, 2019. Qualifiers at SKYiGOLF facilities are set to begin as early as November of this year, so find a SKYiGOLF facility near you! SKYiGOLF has created a loyalty program for its SKYiGOLF members to encourage more frequent play that will reward members for rounds of golf played at SKYiGOLF facilities. The more a member plays, the more SKYiGOLF bucks he or she will earn from SKYiGOLF to be used toward purchases in a SKYiGOLF pro shop or restaurant or toward a green fee. This is all money from SKYiGOLF designated to go back into its member clubs. In addition, a SKYiGOLF member will be able to designate an anchor club, and any Golfer Rewards points earned at that club will be doubled. Here’s an idea that’s new to the industry: What if, every time you played a round of golf, you earned entry into a free sweepstakes? This is a terrific benefit that SKYiGolf players will receive, earning entries into a monthly regional sweepstakes as well as a broader national sweepstakes with every nine holes of golf played at a SKYiGOLF facility. The more golf one plays, the more entries one will be given. Winners for prizes such as golf balls and golf apparel will be drawn each month in each of SKYiGOLF’s designated regions. If you’re not one of the lucky winners there, those entries then will be entered into a larger year-end drawing for such prizes as PGA Tour, LPGA or Symetra Tour pro-am spots – where you’d tee it up with a pro – as well as tickets to significant professional events that you’d usually watch on television. Play more golf, earn more entries to win cool stuff. A SKYiGOLF win-win! So tee it up and get entered today! SKYiGOLF is aimed at revitalizing the golfer experience. That means that golf is about to become more fun and rewarding at your favorite course. You're now entered to win in the SKYiGOLF Sweepstakes!